Fantastic Beasts: The Crimes of Grindelwald may introduce a major Harry Potter retcon to fix a plot hole in the first film. J.K. Rowling is a master storyteller with an unparalleled skill for weaving the most complex plots together. Still, the Fantastic Beasts films are a unique challenge to the author, in that they’re essentially a Harry Potter prequel story she never really planned to tell. The prequel films are introducing a whole host of characters fans have only ever heard of before: protagonist Newt Scamander had previously been known as the author of one of Harry’s textbooks; Nicolas Flamel, confirmed to appear in Fantastic Beasts 2, was an important background figure in Harry Potter and the Philosopher’s Stone but never actually met Harry, Ron, and Hermione; and The Crimes of Grindelwald will also reveal the secret history behind Nagini, Lord Voldemort’s snake. But as the timeline gets more crowded, and the details begin to get filled in, even a writer of J.K. Rowling’s caliber faces the possibility that she’ll unwittingly cause a continuity gaffe. 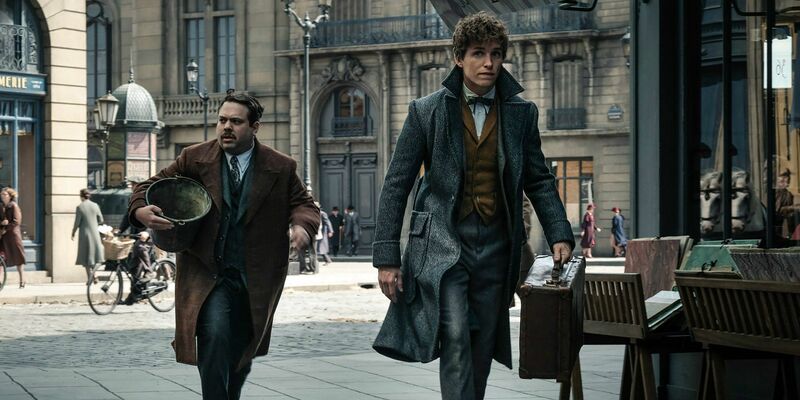 Surprisingly, there is one such continuity error in Fantastic Beasts and Where To Find Them – and Rowling’s efforts to fix the issue may be the key to the next movie. The problem lies with Gellert Grindelwald, the dark wizard Voldemort figure of the Fantastic Beasts films. The Harry Potter books established that, back when they were teenagers, Grindelwald and Albus Dumbledore were close friends. The two wizards were obsessed with the Deathly Hallows, three artifacts that they believed could make them “Masters of Death”, including the Elder Wand. What’s so unique about the Elder Wand is that it has an “allegiance” to a master, which can only be claimed by another when that master is defeated. That means the most powerful (and evil) wizards have typically pursued the power of the Elder Wand, bragging to the world that they own it but also drawing rivals who seek to prove their superiority. It’s possible to trace the Elder Wand’s footprints through history, even if – at the time Dumbledore and Grindelwald were working together – it had disappeared again. According to Harry Potter and the Deathly Hallows, after he parted ways with Dumbledore, Grindelwald heard rumors that the Elder Wand was owned by the European wandsmith Gregorovitch. He broke into Gregorovitch’s workshop, stunned the wizard to beat him in battle and thus he won the Elder Wand’s allegiance. 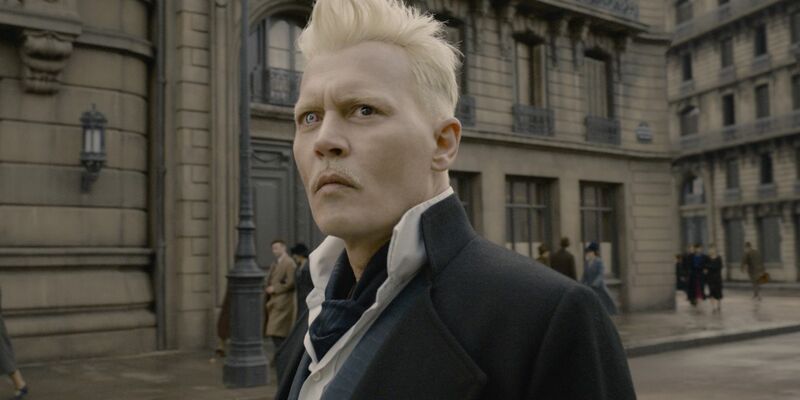 In the books, Grindelwald is specifically described as being a young man with blond hair during this confrontation. That means these events were supposed to happen shortly after he and Dumbledore had their falling out. The problem comes with Fantastic Beasts and Where to Find Them, which shows an older Gellert Grindelwald who doesn’t wield the Elder Wand. From an out-of-universe perspective, it makes sense; Rowling was trying to surprise viewers with Grindelwald’s reveal, and the minute any Harry Potter fan saw the Elder Wand on the screen, they’d know just who Colin Farrell’s Graves really was. It even works from a story perspective, too, as Grindelwald would presumably have to use Graves’s wand in order to pretend to be him. Related: Fantastic Beasts: What Actually Are The Crimes of Grindelwald? But it nevertheless creates a substantial continuity problem due to the Elder Wand switching allegiance whenever its master is defeated. As seen in Harry Potter and the Deathly Hallows, it doesn’t matter whether you’re using the Elder Wand at the time or not; the second you’re beaten, you’ve lost the Elder Wand. And, although Grindelwald was captured by one of Newt’s creatures in Fantastic Beasts and Where to Find Them, he was disarmed by Tina. That means he would no longer be Master of the Elder Wand – it should have passed on to Tina. J.K. Rowling is a master storyteller. There’s no way she hasn’t spotted this plot hole, and she certainly will try to resolve it. And so we get to an interesting theory: what if Grindelwald doesn’t have the Elder Wand yet? 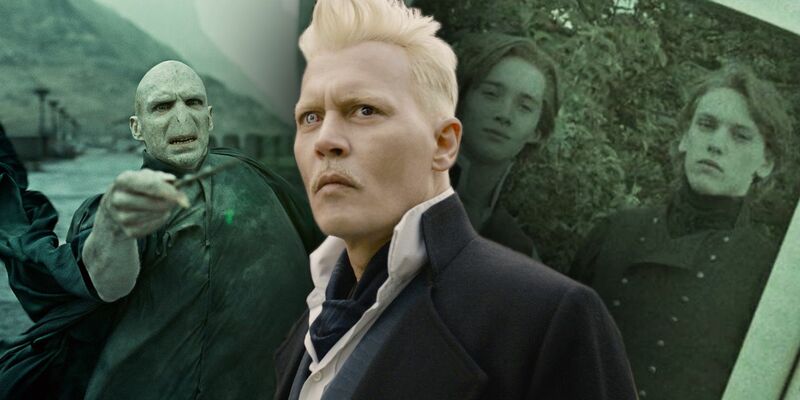 Is Grindelwald Getting The Elder Wand in Fantastic Beasts 2? The Fantastic Beasts: The Crimes of Grindelwald trailers have made clear that the Elder Wand is an important part of the plot – several of the scenes featuring Grindelwald have now shown him wielding it, and the symbol of the Deathly Hallows crops up repeatedly in posters. These details raise the possibility that Grindelwald didn’t use the Elder Wand in Fantastic Beasts and Where to Find Them because he simply hadn’t found it yet. It’s possible that the Elder Wand only resurfaces in 1927, during the events of Fantastic Beasts: The Crimes of Grindelwald. According to this theory, Gregorovitch would obtain the Deathstick and begin to spread rumors of his acquisition in the hopes he’d make a profit from it. These rumors would reach both Gellert Grindelwald and, of course, Albus Dumbledore. The Harry Potter series revealed that, after his friendship with Grindelwald, Dumbledore lost confidence in his ability to resist the lure of power. He’d never dare to go seek out the Elder Wand himself, for fear of what he might do with it. But he likewise couldn’t afford to leave it for Grindelwald. Thus he’d send an agent, the one man he knows has never shown any hint of a desire for power: Newt Scamander. If this theory is correct, the Elder Wand is the driving plot of Fantastic Beasts: The Crimes of Grindelwald. This is the prize Grindelwald has sought out in Paris, and Newt is there desperately attempting to deny it to him. Sadly, of course, Newt is destined to fail. This is an interesting theory, and it fits with almost all the details shown in the Fantastic Beasts 2 trailers. It neatly explains the Elder Wand’s absence in the first film and fixes the problem regarding Tina technically needing to be its master. It is important to note that this is a retcon, of course; there’s no hint of it in the original books, which strongly implied Grindelwald acquired the Elder Wand shortly after he parted ways with Dumbledore. So how does this theory explain Gregorovitch’s brief glimpse of a youth? 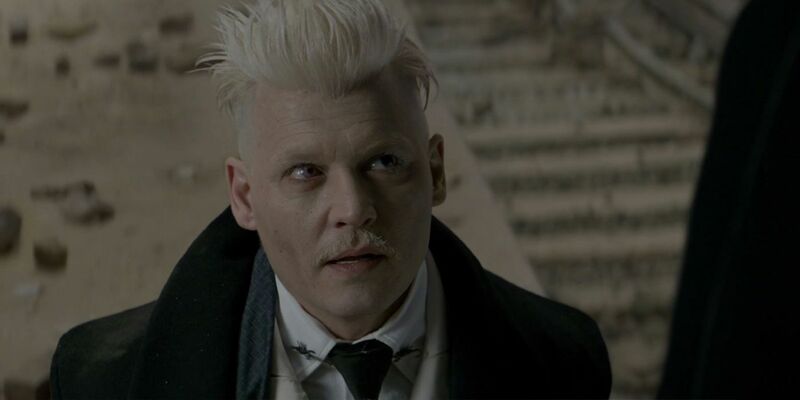 It’s important to remember that Grindelwald is a master of disguise, as seen in Fantastic Beasts and Where to Find Them. He’s aware of the history of the Elder Wand, and he knows that whoever owns it becomes a target. It would hardly be a surprise for Gellert to throw his potential challengers off the scent by disguising himself, and allowing Gregorovitch to catch a glimpse of a young thief. Where magic is involved, after all, it’s not wise to believe your eyes. Jamie Campbell Bower played the part of young Grindelwald in a brief flashback scene in Harry Potter and the Deathly Hallows, a role he’s reprising that role in Fantastic Beasts 2; this would provide the necessary parts to present this retcon in the movie. Related: Fantastic Beasts 2 Has A Credence Twist – Is He A [SPOILER]? It’s worth noting that this doesn’t explain the significance of Credence, nor does it provide a reason for Grindelwald’s apparent interest in teaming up with an Obscurus. But any film has multiple layers of plot; Credence could easily be a secondary layer in this story, with the acquisition of the Elder Wand as the primary, driving narrative. Is The Elder Wand More Important? If the Elder Wand really is the MacGuffin of Fantastic Beasts: The Crimes of Grindelwald, then it raises an interesting question; is the Elder Wand even more important than we knew? There are two pieces of evidence that suggest it may well be. The first is the fact that, even armed with a normal wand, Grindelwald was a powerful enough sorcerer to take on the combined might of MACUSA’s agents. He was only defeated in Fantastic Beasts and Where to Find Them because he encountered something he’d never expected in one of Newt’s creatures. 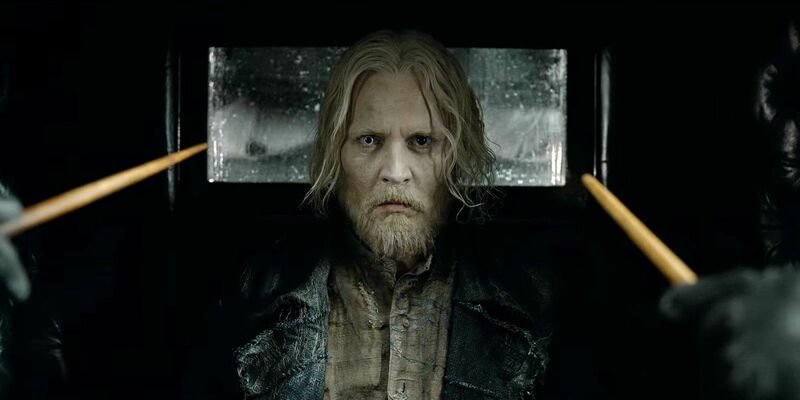 It’s clear that, even without the Elder Wand, Grindelwald is a terrifying force to be reckoned with. How powerful would he be bearing the fabled Deathstick? The second important clue is found in the history of the Elder Wand, in the tale of Godelot, who’s mentioned in both Harry Potter and the Deathly Hallows and Rowling’s tie-off book The Tales of Beedle the Bard. Godelot considered the Elder Wand itself to be his teacher. He described it as “My moste wicked and subtle friend, with bodie of Ellhorn, who knowes ways of magick most evil.” It’s already been established that wands retain a sort of “memory” of the spells that have been performed with them (that’s the reason for the Priori Incantatem effect in Harry Potter and the Goblet of Fire). It seems that Godelot was able to use the Elder Wand to learn dark enchantments that would otherwise have been lost in the mists of time. What secrets of dark magic could Grindelwald gain from it? What long-forgotten enchantments could he master? Through the Elder Wand, some of the most powerful, brutal wizards in history would essentially become Grindelwald’s mentors, and he would become a greater threat than ever before. Where Voldemort only held the Elder Wand for a short period of time, and was never truly its master, Grindelwald won’t lose the Deathstick until he’s defeated by Dumbledore in 1945. That means he has years to train under the Elder Wand’s tutelage, years to master the Dark Arts in ways nobody else has done before. Little wonder he becomes one of history’s most dangerous sorcerers. Previous: How Scary Is The Chilling Adventures of Sabrina?